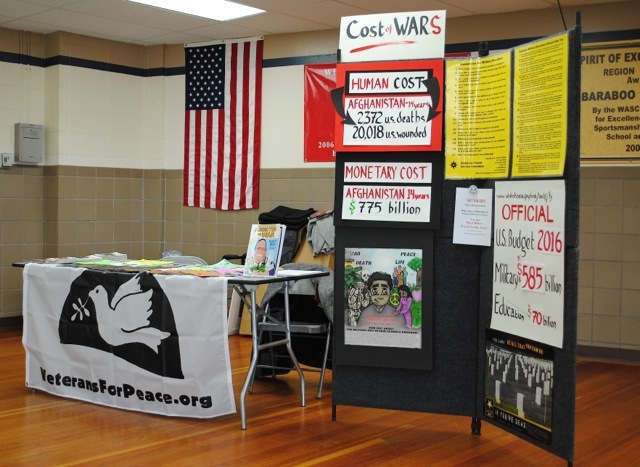 VFP Counter-Recruiting display at Baraboo High School. Photo by David Giffey. This entry was posted in Baraboo and tagged David Giffey, scholarship on March 24, 2016 by Website Administrator.